‘I challenge you to find a fault with this meal’ said Greg at the end of our evening at Prime and for once I didn’t have anything to say. It was faultless. 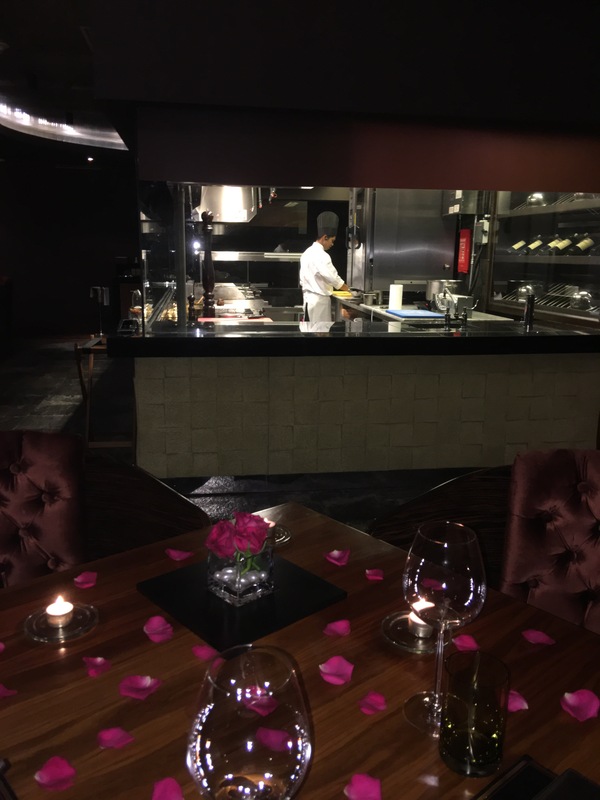 It wasn’t our first visit to Prime, we have been a few times before and even though it was always enjoyable I wasn’t always 100% convinced that it was as amazing as some people claimed. On one visit I found the sides a little luke-warm and on another occasion we were the only people in there and there was a lack of atmosphere. However, after our visit on Thursday I can say I understand why people love it here so much. 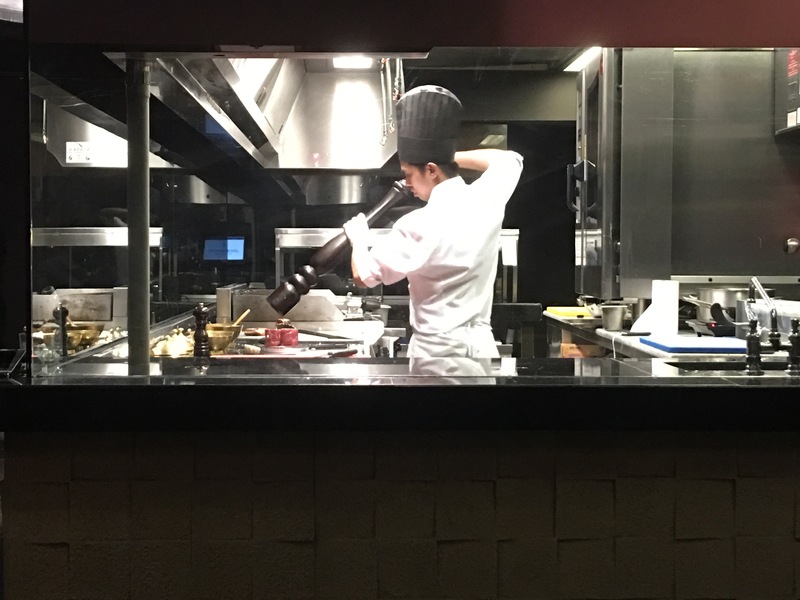 I emailed to reserve a table and specifically asked for a table next to the open kitchen as I love to watch the chef at work preparing the food. I was not disappointed, I think we got the best table in the restaurant. We were greeted with a lovely glass of bubbly and the menus were presented to us. 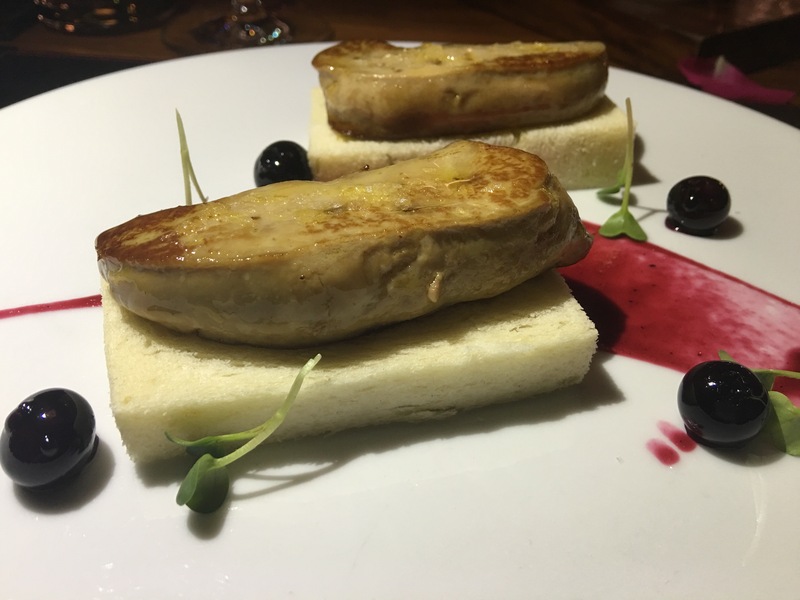 Then I was faced with a dilemma – foie gras or no foie gras. I opted for the former. Greg chose the short ribs as he has had them before and they are amazing. 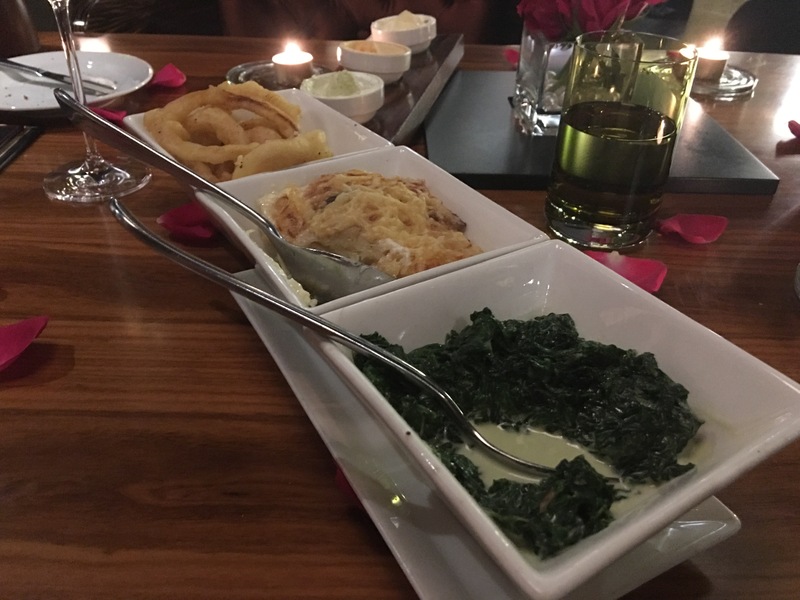 For our main course we chose a 300g fillet steak with creamed spinach, potato gratin and onion rings. 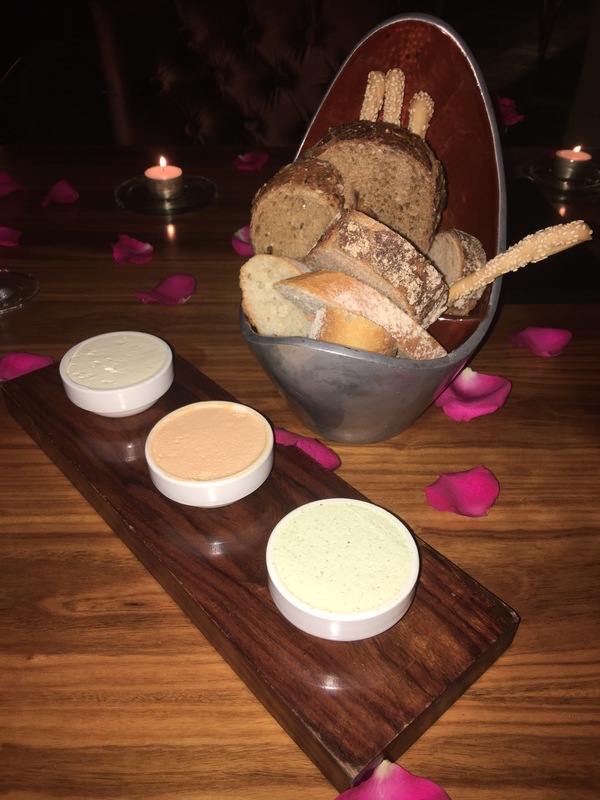 After placing our order a lovely bread basket came and shortly afterwards an amuse bouche which was a lobster and quinoa salad. 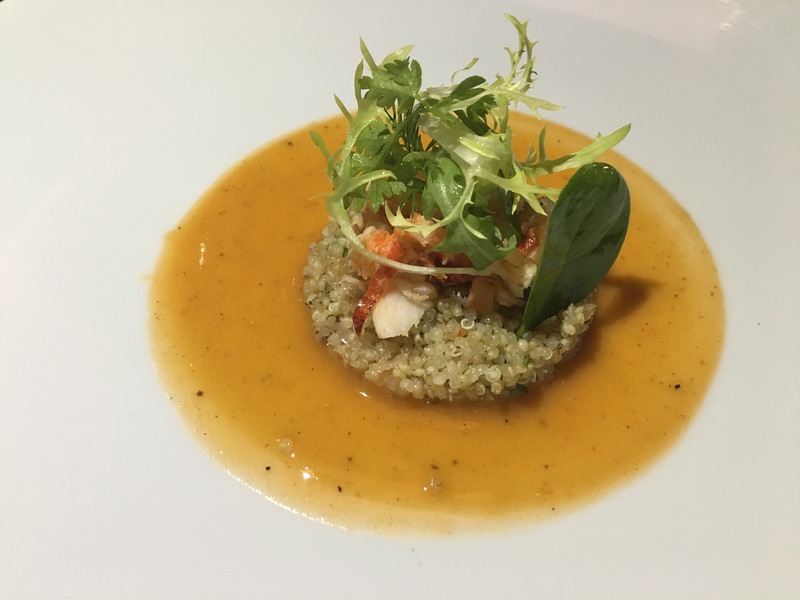 There were several pieces of chunky lobster nestled on micro leaves with a lovely, but not overpowering, citrus bisque dressing. What a wonderful start. My foie gras, which I had asked to be fried, then arrived. It was a generous serving and was so soft and buttery with rich brioche and the tang of berries and a scattering of sea salt on top gave added texture. 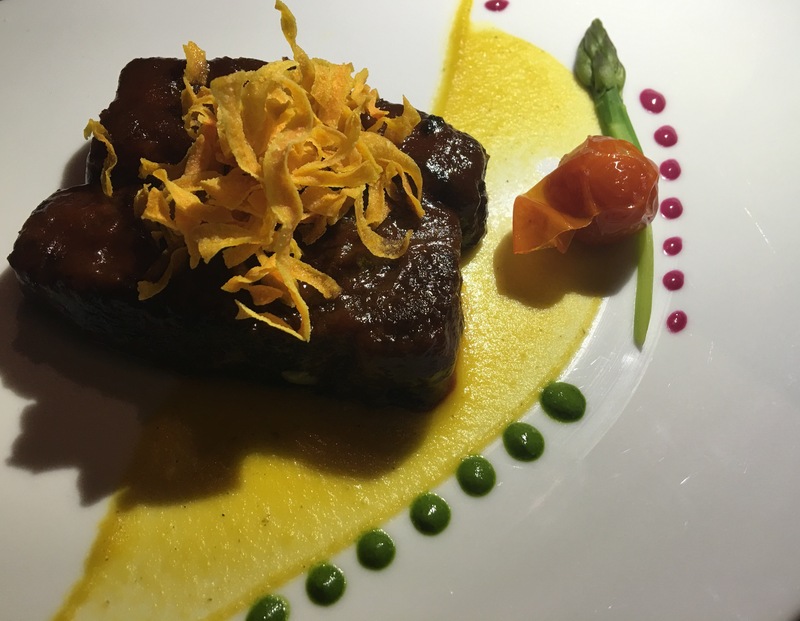 Greg was not disappointed with the short ribs, they were crispy on the outside and melted in your mouth. Every tiny crumb was devoured. 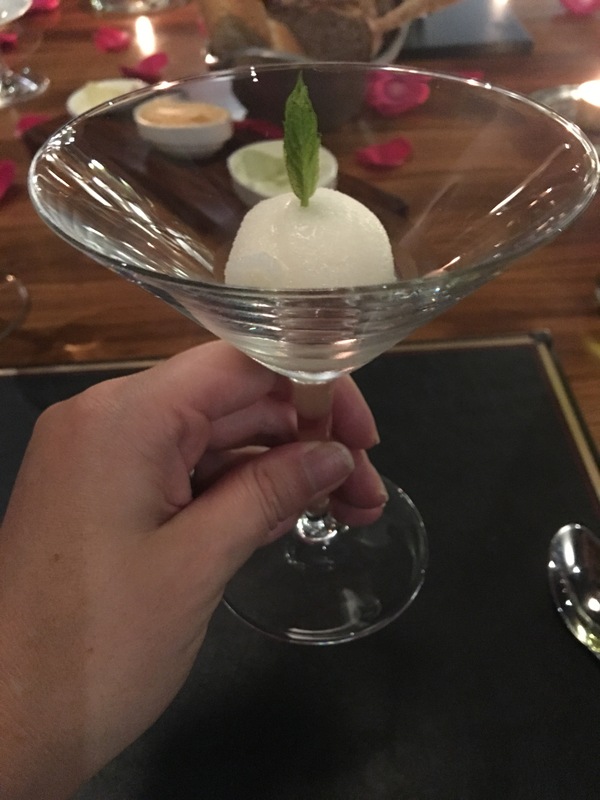 We were then brought a refreshing lemon sorbet palate cleanser. 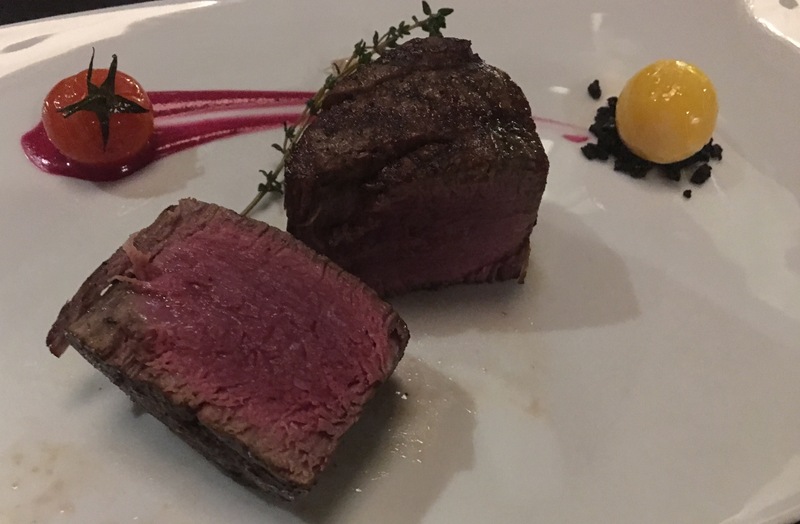 There were lots of ‘wows’ when our steak arrived. Not only did it look amazing but it was so perfectly cooked and seasoned I almost cried with happiness. We had selected french steak knives and they just glided through with very little effort. The side dishes were also delicious and the egg yolk was a unusual accompaniment but was really nice too. By now we were getting full but it was so hard to leave such delicious food! We were asked if we would like dessert but we were so full we chose not to. Refusing to take no for an answer we were kindly given a complimentary ‘melting chocolate sphere’ which was a lovely touch. 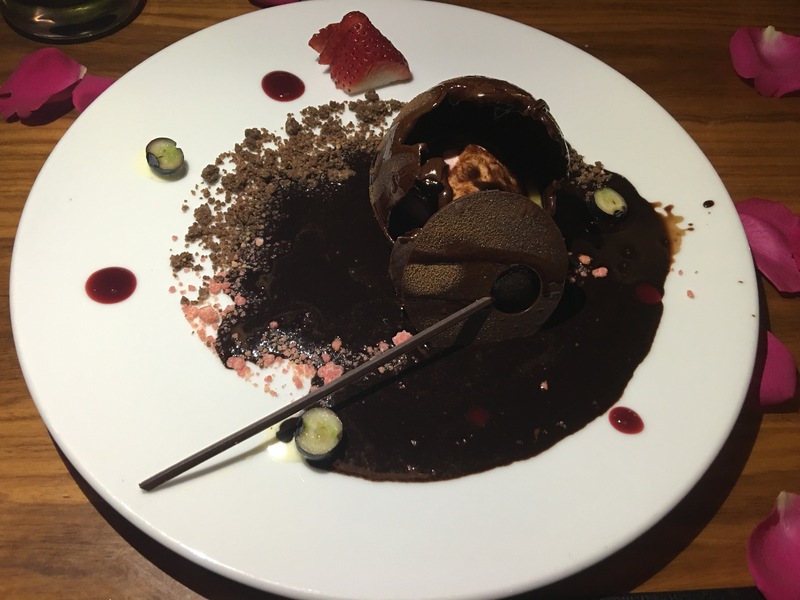 Hot chocolate sauce was poured over the sphere and, as it melted, it revealed cream and berries. Luckily it wasn’t too rich or bitter and we managed to eat most of it! The service throughout the evening was excellent, very friendly and good-humoured but professional. There was also a lovely ambiance as many of the tables were occupied and this created a buzz, I do like how the tables as spaced out. 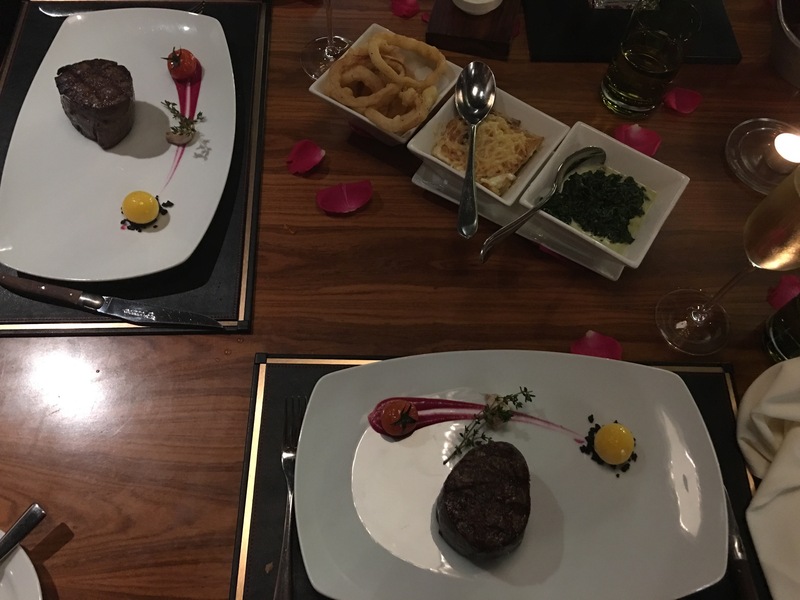 We paid about 700QR for our meal as we used an Entertainer voucher meaning one of our steaks was free (offer ends July 2016). I wouldn’t hesitate to go back to Prime or recommend it to people, it really was first class. At the end of our meal we asked to see a Tomahawk steak – I think this may be what we ordered when we go back as it looks incredible.